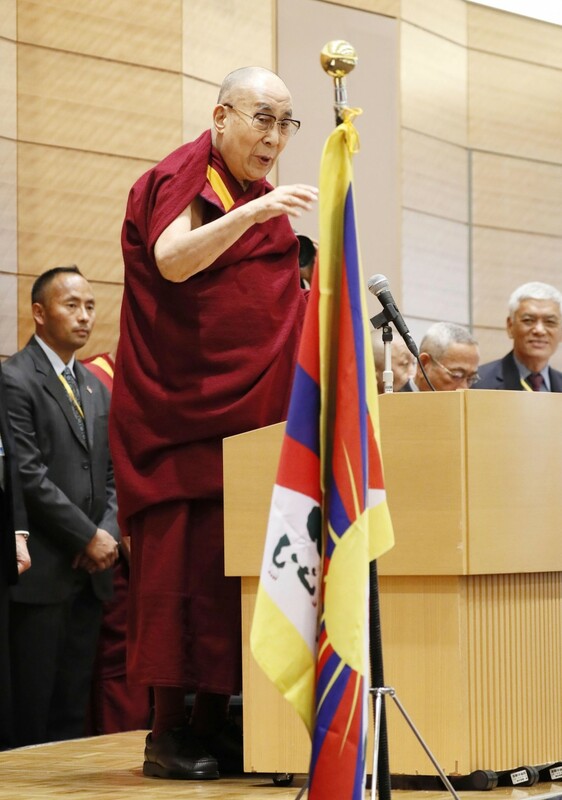 The Dalai Lama urged the Chinese government to take a realistic approach toward Tibet during a speech in Tokyo on Tuesday. "The Chinese government is starting to recognize that using pressure against Tibetans to deter separation (from China) is useless," the exiled Tibetan spiritual leader said at an event organized by a bipartisan group of parliamentarians. "An approach that corresponds to reality is necessary." As he advocated for Tibetan cultural and religious rights, the 83-year-old emphasized that he was not seeking independence for Tibet. His continuous call to give Tibet a high level of autonomy has made China consider him a separatist. "Tibetans can receive economic benefits by staying in China, and the Han Chinese can receive spiritual benefits through Tibetan Buddhism," he said, adding that Buddhist teachings have become increasingly popular among the Chinese in recent years. The event was held in a House of Representative's office building and attended by around 160 people. The Dalai Lama will perform a religious ceremony Thursday in the southwestern Japan city of Fukuoka for the victims of a deadly earthquake that hit Kumamoto in 2016 and this year's series of deadly natural disasters in western and northern Japan. His last visit to Japan came two years ago. His planned trip to the country last year was canceled on his doctor's advice. 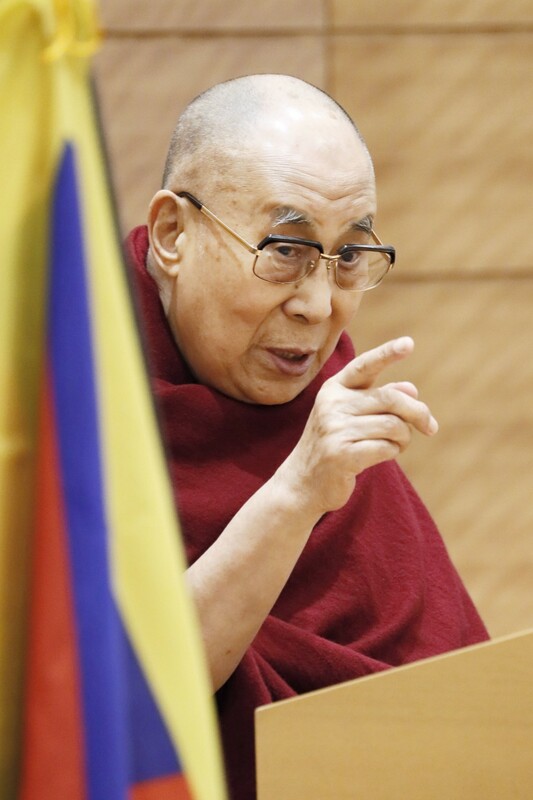 The current Dalai Lama is considered the 14th incarnation of the spiritual leader of Tibetan Buddhism. He fled Tibet after a failed uprising against China's rule in 1959 and set up a government-in-exile in Dharamsala, northern India.